2012 is a milestone year not only for Jamaica, which celebrates 50 years of independence, but also for international Jamaican reggae dancehall artist Clifford Smith, aka Mr Vegas (“Bruk It Down”, “Gallis”, “I Am Blessed”, "Heads High", “Hot Wuk”). 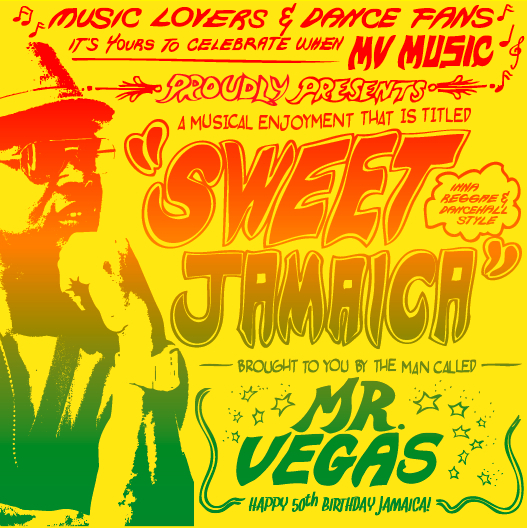 In the spirit of togetherness, Mr Vegas’s new album, ‘Sweet Jamaica’, set to release May 29th in digital and hard copy, unites reggae and dancehall in an unprecedented double-disc set. From 15 tracks of real roots reggae to 16 more of electrifying dancehall, ‘Sweet Jamaica’ is not only a complete listening experience, it’s a visual one too, just check the cover and album art done in retro event poster style. Including guest spots by Grammy winner Shaggy, roots standard bearer Luciano, the 'General' Josie Wales, Nadine Sutherland, sax maestro Dean Fraser and pop sensation Jovi Rockwell, the album presents a seamless mix of up-to-the-time dancehall (“Bruk It Down” - #1 on MTV Base chart, #1 in Jamaica, #1 on BBC 1 Extra in the UK) foundation one drop hits and unreleased original interpretations of reggae classics (“Sweet & Dandy”, “You’ve Made Me So Very Happy” and more). 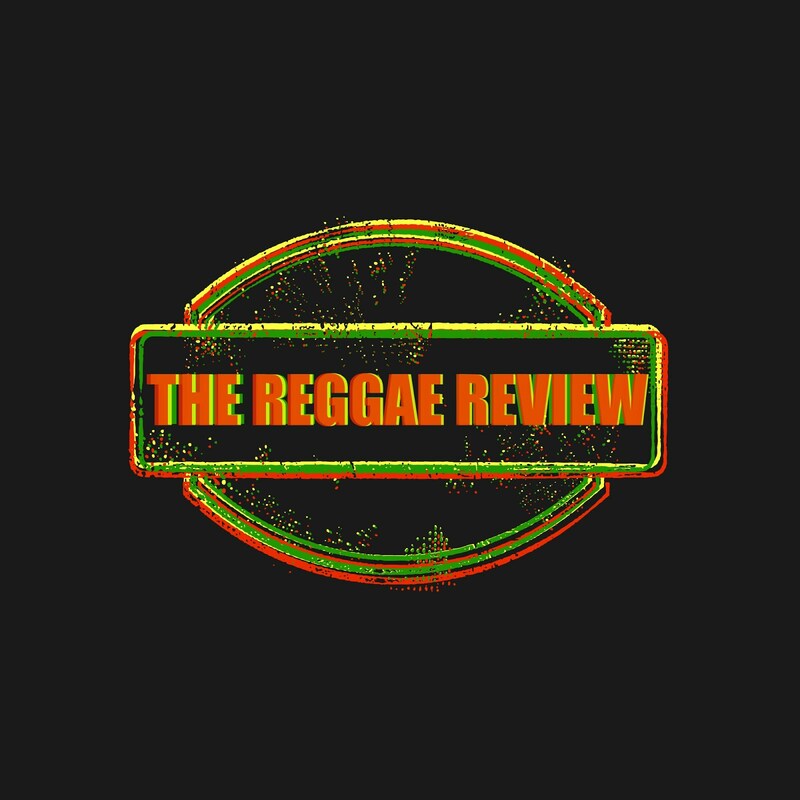 Backed by crucial production from Mikey Bennett, Sly & Robbie, Steelie & Clevie, Adde, not to mention the mixing and mastering skills of Rohan Dwyer, ‘Sweet Jamaica’ is ready to simultaneously satisfy the most discerning tastes of reggae and dancehall as well as world music fans everywhere. ‘Sweet Jamaica’ is the debut release from Vegas’ own label imprint, MV Music and is distributed by VP Records (CD) and INgrooves (digital). Presenting reggae and dancehall like it’s never been done before, ‘Sweet Jamaica’ will undoubtedly be a milestone. “I want to be around in twenty years,” says Vegas, “and ‘Sweet Jamaica’ is the best way I can think of to put my stamp on the future, one in which real foundation reggae and dancehall both play a part, just like real life”. Mr. Vegas is a former MOBO award winner, in 2010 was nominated for Soul Train ‘Reggae Artist Year’ and performed at the Soulfusion Soul Train Awards in early 2011 and has performed live on the CBS Morning Show in New York. In 2011, in collaboration with Shellian McBayne, Mr. Vegas initiated the Save Foundation Reggae campaign with a petition appealing to radio disc jockeys to include more reggae pioneers like Alton Ellis, Gregory Issacs, and Cynthia Schloss in their daily playlists. People from as far away as Kenya, Australia, and Qatar have signed the petition. 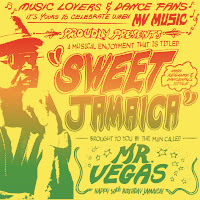 Mr Vegas will be touring extensively though out Europe, the Caribbean Islands and North America summer 2012. “Sweet Jamaica” its a true musical enjoyment for music lovers & dance fans.